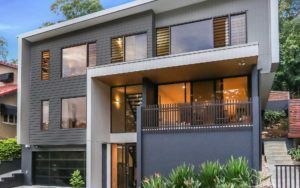 The news feature explains that hillside land is becoming more popular with many Queenslanders because of the spectacular scenery and surrounding area it offers. 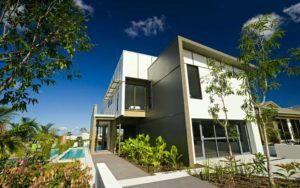 But a sloping building site can often cause problems with designing and building a house, if the architects and builders aren’t careful. 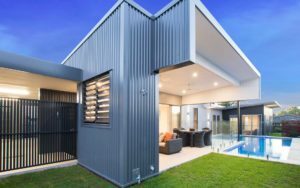 Civic Steel Homes’ builders have many years of expertise in designing and building eco homes on sloping land, and the team has the specific design knowledge to successfully erect a safe and sturdy home on a steep area. 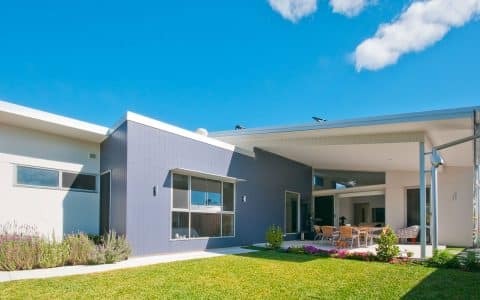 Project Manager Shane Windsor explains that unless a house is designed for a steep area, it just won’t work. 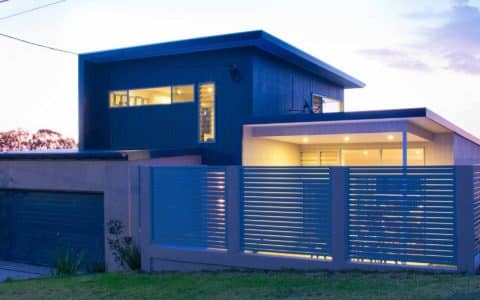 He outlines the main principles for building on a slope, including opening up the design with plenty of large glass windows, capturing prevailing breezes, and recognising where the bad weather is likely to come from to give that side of the building extra protection. Mr Windsor also reveals some of the construction solutions suited to building on a hill. 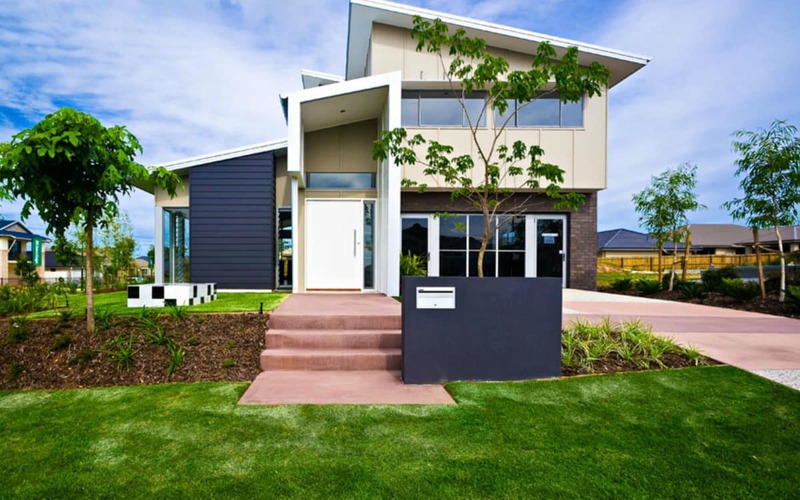 He advises that you ask your builder to nestle your house within the natural dip of the land, use a combination of slab construction and a suspended flooring system (to really cement your house into the slope), and adopt a split-level design to take optimum advantage of the incline. 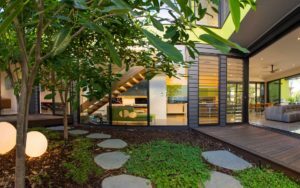 The article explains that many people are worried about building on a slope because they aren’t sure how much it will cost. 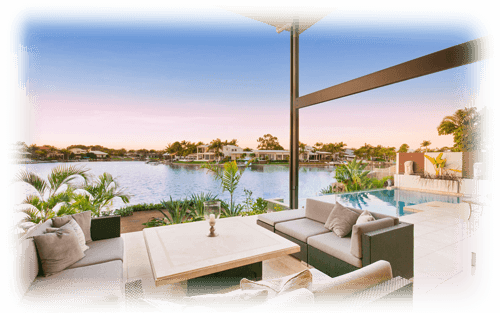 But Mr Windsor assures that carrying out a simple site visit will enable your builders to give you a good estimation of the end figure. 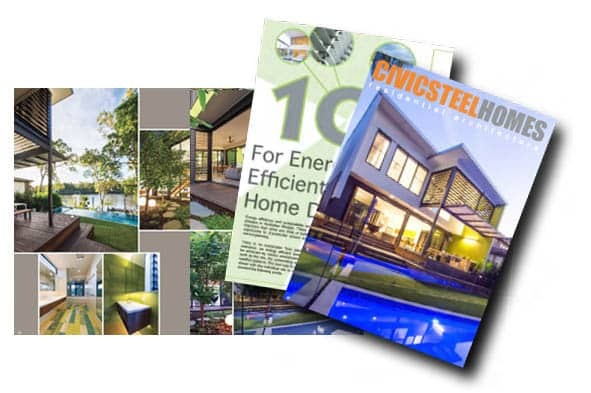 To read the full article, see: Civic Steel Homes: Rooms with a View. 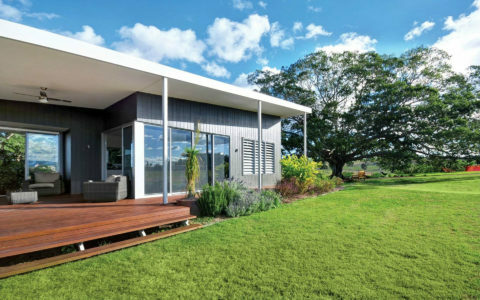 If you’re interested in speaking to someone about building on a hill – or building your own eco home – call Civic Steel Homes today on (07) 3714 5900 or visit www.civicsteelhomes.com.au.